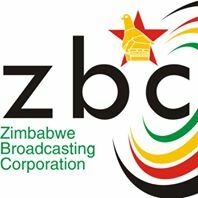 General TV Channel / The Zimbabwe Broadcasting Corporation (ZBC) is the state-controlled broadcaster in Zimbabwe. It was established as the Rhodesian Broadcasting Corporation (RBC), taking its current name in 1980. Like the RBC before it, the ZBC has been accused of being a government mouthpiece with no editorial independence. Radio was first introduced in the then Southern Rhodesia in 1933, in Belvedere in Salisbury (now Harare) by Imperial Airways, which was used to provide radio guidance and weather reports. However, it was not until 1941 that the first professional broadcaster was established. This was known as the Central African Broadcasting Service (CABS) and had responsibility for broadcasting in Northern Rhodesia (now Zambia) and Nyasaland (now Malawi) as well as Southern Rhodesia.